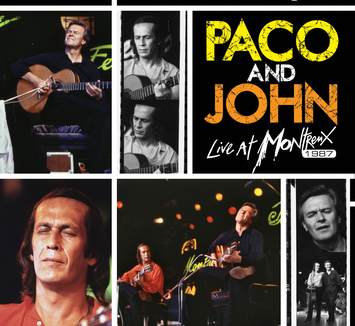 Paco & John: Live At Montreux 1987 is the first ever release of this classic concert, which paired the inimitable styles of Paco de Lucia and John McLaughlin. 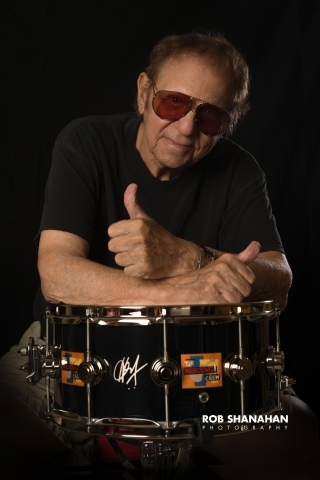 In fact, McLaughlin personally oversaw all aspects of the DVD+2CD release. Filmed July 15, 1987 at the famed Montreux Jazz Festival in Switzerland, Paco & John: Live At Montreux 1987 is a breathtaking evening of flamenco-infused jazz flair. The show opens with a solo piece from McLaughlin, followed by a solo performance from De Lucia, as if to showcase the stature of each virtuoso’s musicianship on their own merits. Then, the guitar maestros join forces, presenting a series of duets drawn from their solo albums, The Guitar Trio, and covers of music written by contemporaries such as Chick Corea and Egberto Gismonti. The set included performances of “Guardian Angel,” “One Melody,” “Chiquito,” “El Panuelo,” “David,” and “Sichia,” among others. At 91 minutes, and presented in DTS Surround Sound and Dolby Digital 5.1, Paco & John: Live At Montreux 1987 is a superb presentation of this brilliant night of music. Paco de Lucia and John McLaughlin gave the audience an evening of guitar excellence, delivering a concert for the ages that will still resonate with fans and music lovers to this day.